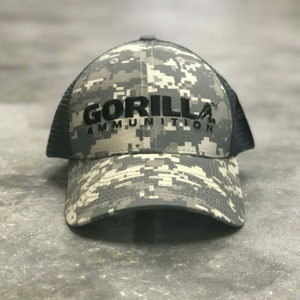 This army digital camo hat features our classic Gorilla Ammunition logo. Impress your friends with this quality hat by Decky®. 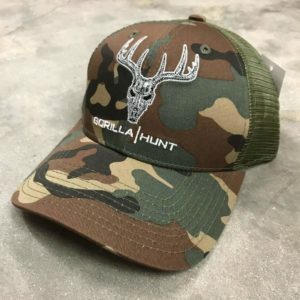 Be the first to own one of our new hat designs! 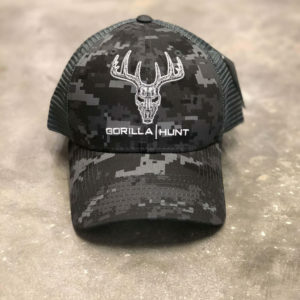 Show your Gorilla Pride with our new line of hats. Don't hesitate! Be the envy of your friends with our premium line of headwear. This vintage style trucker hat has snap back closure and is a cotton and poly blend. The hat has a lower fit so you don't look like Elmer Fudd! 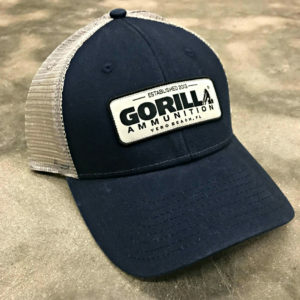 This sweet lid is Navy Blue and Grey with Black and Grey woven label. 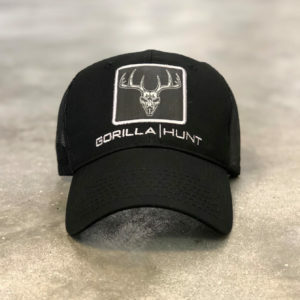 This vintage style trucker hat has snap back closure and is a cotton and poly blend. The hat has a lower fit so you don't look like Elmer Fudd! 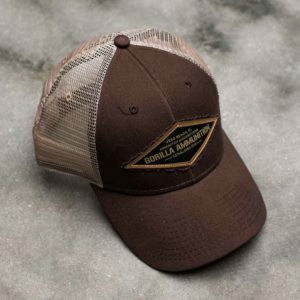 This sweet lid is tan and chocolate brown with black and tan woven label.